Morgan Hipworth was 14 years old when he started making doughnuts in his parents’ kitchen. Soon, he was wholesaling them to cafes around town. Then came a pop-up which sold 10,000 doughnuts. This permanent store opened in 2016, when he was just 15. By day, Hipworth’s at school juggling his books and homework, and the store is in the care of his staff (including mum, Ellie). By night, he’s in store studying Bistro Morgan’s spreadsheets and creating nine new flavours for next week’s rotation. This American diner fit-out was designed by Best. Design To Life, and funded entirely by Hipworth’s earnings from his doughnut sales. 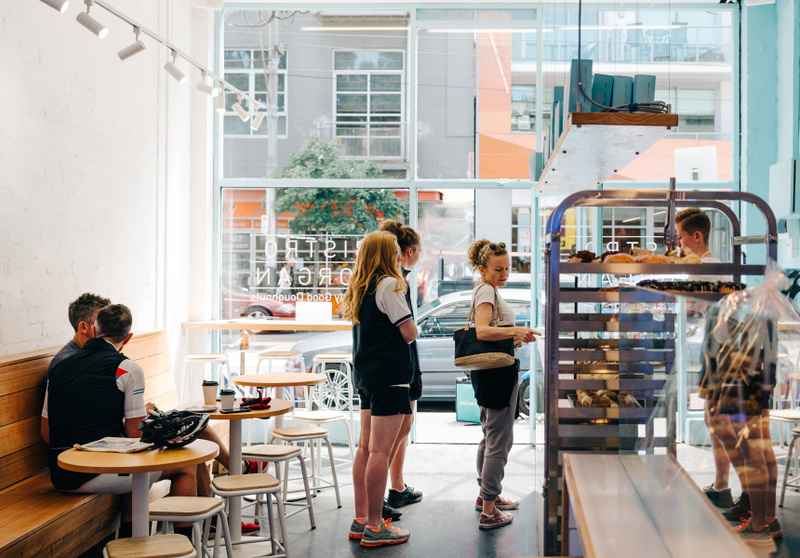 The white interior features timber tables and stools, marble benches, white wall tiles and a neon blue sign that reads “Seriously Good Doughnuts”. The menu rotates weekly, and features creations such as Golden Gaytime, with salted caramel sauce and a Gaytime crumb; and Hershey’s Cookies and Cream with Oreo pieces. Hipworth decorates the doughnuts, and the entire menu is takeaway. 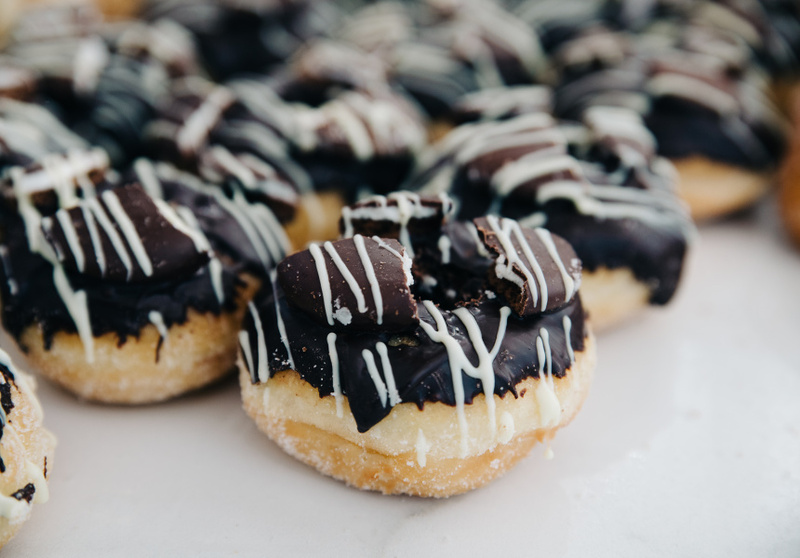 You can team your doughnut with one of Bistro Morgan’s “pimped-out” milkshakes, with flavours such as Ferrero Rocher and chocolate brownie on offer. Be sure to try one of the ice-cream sandwiches too, with ice cream supplied by 7 Apples. There are signature sandwich flavours, such as Fruit Loops or Snickers, or you can make your own. 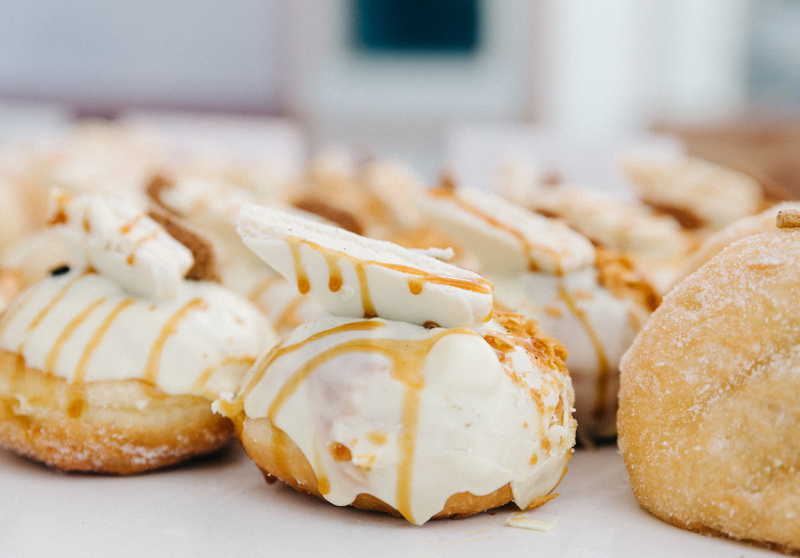 Choose your toppings and ice-cream flavour, finished off with freshly made fluffy doughnuts.